Under pressure from the Australian Tax Office, Google and Facebook have begun to bring their revenue onshore to be taxed. EBay remains recalcitrant, still deeming its Australian business to be a Swiss business and thereby avoiding millions in income tax and GST, writes Michael West. It is multinational reporting season once again and the early signs are the government’s multinational tax avoidance laws are starting to work. But the world’s largest corporations are still paying a fraction of their fair share of tax in this country. Until this year, Google and Facebook entertained a corporate structure that booked the billions of dollars of revenue they made in Australia directly offshore. However, eBay is still blithely pretending it doesn’t have an Australian business and that the billion dollars a year it makes from operating its online auction house in this country – through which Australians buy and sell things with other Australians in Australia – is really the business of an entity residing at 15 Helvetiastrasse, Bern, Switzerland. 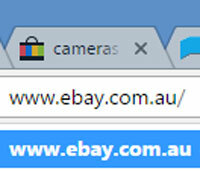 According to its accounts, the latest for the year to December 2016, eBay Australia is still masquerading as being in the business of ‘the recommendation of market penetration strategies’ on behalf of eBay International AG. Australian business? What Australian business? So it is that every cent of the $59 million that eBay disclosed as its cash-flow statement for 2016 came from related parties, mostly for ‘rendering of services’. On this, eBay paid $1.9 million in tax after ratcheting up its costs by $13 million to wipe out most of the $20 million uplift in cashflow. The average salary at eBay, if the accounts can be believed, is $312,553 – 109 employees, according to the directors’ report, getting $34.1 million. Mind you, according to the directors’ report, these 109 people are engaged in carrying out the principal activities of the company, which are ‘the recommendation of market penetration strategies, advertising and promotion activities’. Gobbledygook, but the numbers are irrelevant anyway. The estimated billion dollars or more which eBay is said to make in Australia is not even included in its financial statements, just the revenue from its secretive associates. Moreover the accounts are not consolidated, according to the notes, rendering the entire disclosure a farce. Auditor is PwC. Funnily, though, the cover page Form 388, authenticated by EY, talks about ‘consolidated revenue’ and ‘consolidated gross assets’ – despite the fact that PwC says the accounts are not consolidated. So eBay is the quintessence of the undisclosed agency, a puppet regime designed to whisk Australian profits offshore to a tax haven. The shadow directors are in Bern and the ultimate parent eBay Inc is in the US. Over the past 15 years, eBay has dodged GST and paid income tax of just $8 million (almost one-fifth of its bill for ‘professional fees’ at $38 million), despite its billions of dollars in cash-flow. Focusing on more positive developments on the multinational tax scene, arch-tax avoider Google Australia and New Zealand is now recognising that a portion of the profits it makes in Australia are in fact Australian rather than Singaporean. Industry observers believe Google makes about $3 billion in sales from its advertising business here. Until this year, its only revenue has come from three related parties via service arrangements. Now, with the introduction of the multinational anti-avoidance legislation, Google has recognised roughly one-third of its Australian revenue as Australian. In the broader context it is worth considering the effect of the digital revolution on Australia’s tax base. Where the TV networks, News Ltd (though belligerent on the tax front) and Fairfax Media once paid hundreds of millions of dollars a year in tax collectively, they are now struggling to make a profit. In their place, it is estimated Facebook and Google now pick up 8 percent of the advertising dollar in this country but they pay negligible tax. Globalisation and the internet are similarly challenging Australia’s revenue base in retail, financial services and other sectors. Paypal, for instance, eBay’s corporate cousin, paid more than $1 billion of its $1.2 billion in revenues to its parent and associates in Singapore over the nine years to 2014 thanks to a ‘service agreement’. Looking at the accounts, thanks to the new tax law, revenue rose from $498 million to $1.14 billion. Sales and marketing expenses, however, recognised for the first time at $324 million, knocked profits about. Profit rose from $50 million to $121 million on which tax expense was $16 million, up from $3 million. Actual tax paid as per the cash-flow statement was $41 million, up from $16 million. So, like Apple, Google is beginning to pay significant amounts of tax, although still way short of the mark, and it appears to have bloated its cost base here as much as humanly possible. Assuming group sales are heading towards $3 billion (Google booked $882 million in advertising revenue), the real income tax number ought to have nine digits. For its part, Facebook booked revenue of $327 million, ten times the $33.5 million recorded in the the previous year. After forking out $271 million to related parties for the ‘purchase of advertising inventory’, it made a profit of just $6.3 million on which it paid $3.4 million in tax. Under its previous structure, Facebook sales were booked to an associate in Ireland. For the purposes of reporting as little as possible, the company even won an exemption from the corporate regulator when it claimed to be a ‘Small Pty Company Controlled By a Foreign Coy Which is Not Part of Large Group’. That its foreign parent was valued at more than $170 billion on Wall Street didn’t seem to matter. It is a good thing the authorities are catching up with multinational tax lurks. This would not have occurred without public outrage and dissent. Nor would it have occurred without the Senate Inquiry into Corporate Tax Avoidance in 2015, which thrust the issues into public view. They should keep this Senate committee rolling with biannual investigations where corporate leaders are held to account and subject to full public scrutiny. After all, directors have a fiduciary duty to perform in the interests of their companies, not some tax officer in California. Further, the architects of multinational tax avoidance – EY, Deloitte, PwC and KPMG – ought to be subject to greater disclosure requirements rather than operating as murky partnerships whose partners pontificate to government on tax policy while advising their big clients how best not to pay tax, or ‘leakage’ as they call it in the trade. All the government has to do is one thing. Collect tax from the offshore manipulators and australias debt problem is solved.